It was -4F outside this morning, with wind chills around -25F. Even colder temperatures are forecasted for this evening and into tomorrow morning. Brrrrrrr!!!! 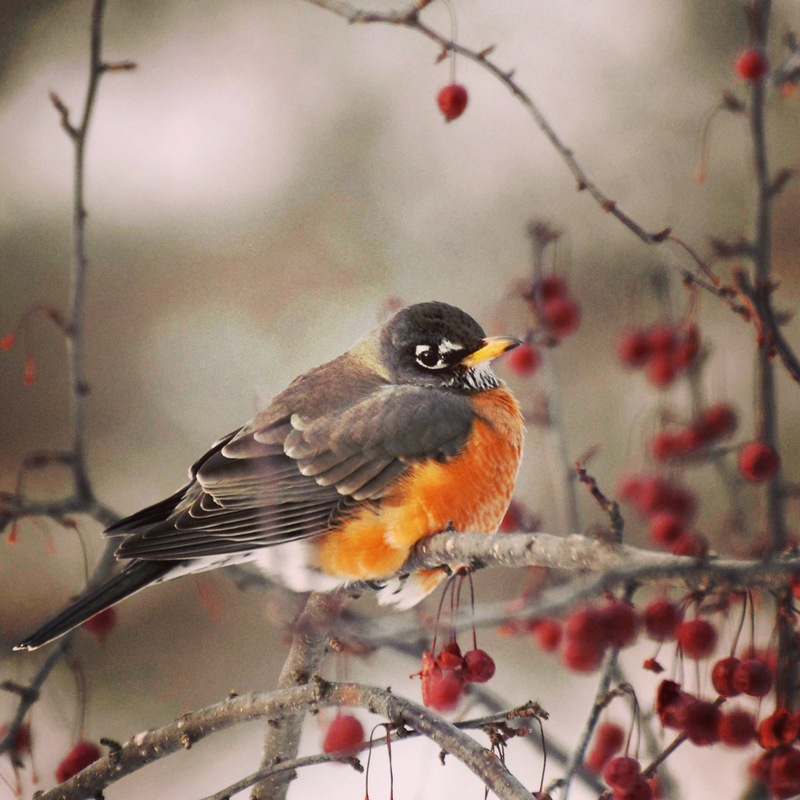 Our robin continues to visit the crabapple tree every day for a snack and to just hang out. Poor fellow must be cold, don’t you think? Wherever you are today, I hope you can stay warm! Lynell – I love your postings! Your stories are wonderful and informative, and your photography is beautiful. Thanks Mary Jo! I didn’t realize you were following along. I’m trying to get back to posting a little more often. It is a fun creative outlet for me. Lynell–what a wonderful photo! We have had a couple of near record temp days in the 60s after a quarter inch of ice on Friday. Now we are in the 30s again. Not anything like yours though. Minnesota gets significant freezing. As I wrote I thought about how whiny it sounded. We are blessed to avoid such frigid temps as you have. It just is so far from the good weather that I love to enjoy outside when I garden.